Codi and Zeus met each other after they arrived in rescue and have become bonded to one another. True to their husky breed, both of these good natured pups are known escape artists, however since finding each other they never challenge the fence. MaPaw’s caretaker believes they’ve stopped trying to escape because they’ve found contentment in being with each other, so it has been decided that they will be happiest adopted out together to be forever companions. Codi is a friendly and affectionate girl with a happy wag who came into rescue as a result of divorce. Zeus is a funny and energetic adolescent male who loves humans and his gal pal Codi, but isn’t too crazy about cats. 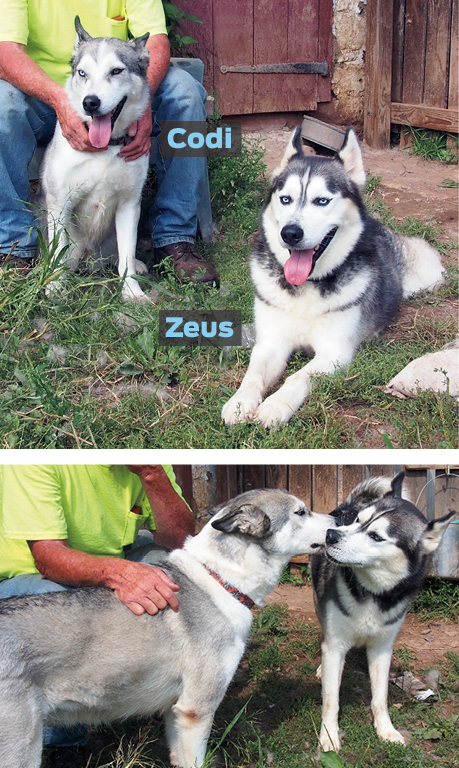 If you’re a husky savvy home who’s looking for a wonderful pair of dogs, then Codi and Zeus might be perfect for you.